On Monday, October 17, 2016, our Sister Marie de Lourdes Nassauer went peacefully home to God, in the Maryknoll Sisters Home Care unit at Maryknoll, New York. She was 86 years old and a Maryknoll Sister for 69 years. Marie de Lourdes was born, to Eva Bourguignon Nassauer and Stuart Nassauer in Brooklyn, New York on January 19, 1930 and baptized in St. Lawrence parish in Rockville Center, New York. She had a sister, Joan Coakley, and two brothers, Fred Nassauer and Stuart Naussauer. Marie de Lourdes had two aunts who were Maryknoll Sisters: Sister Marie de Lourdes Bourguignon, who died in 1978, and Sister Mary Frederick, who died in 1935. Without a doubt, these two aunts inspired Marie’s vocation. She attended Seton Hall High School in Patchogue, New York from 1943 to 1947, entering Maryknoll that same year at the Maryknoll Motherhouse. She professed her First Vows on March 7, 1950 and her Final Vows three years later also at the Motherhouse. She attended Maryknoll Teachers College from 1949 to 1953 earning her Bachelor of Education degree. She taught the primary grades at St. Ann’s School in St. Louis, Missouri and at Maryknoll School in Los Angeles from 1953 to 1958. That same year she received her assignment to Chile and began language study. From 1959 to 1968 she taught primary grades in Chillan and Galvarino and in 1968 she became principal of the parish elementary school in Talca. She remained there until 1972 when she became the 6th grade teacher in Chillan. In 1973 she returned to the Center to take charge of the Travel Department where she continued to serve until 1975. She began her studies at the Grasslands School of Practical Nursing in Valhalla, in Westchester County, graduating in 1976. In 1977 she returned to Talca Chile where she worked as a practical nurse until the end of 1978. She opened the Salamanca house in northern Chile in 1979 where she remained deeply involved in pastoral work until 1991 when she became administrator of the Center house in Santiago Chile. In 1996 she returned to Maryknoll, New York for Mission Services, serving as Rogers’ library assistant and assistant sacristan. 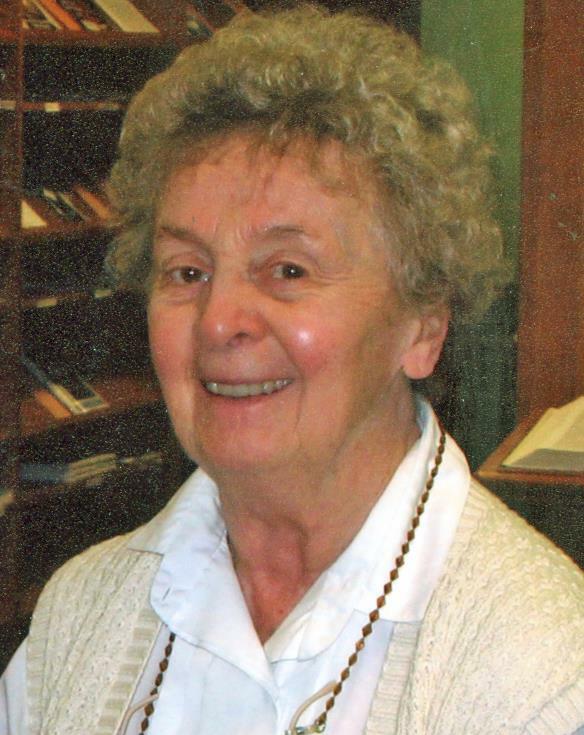 She ended her service as sacristan in 2006 but continued serving in the library until 2014 when failing health made these activities impossible. During many years she was involved in the prison apostolate here in the United States. She became a close and valued friend of prisoners and by her work encouraged others to do educational and spiritual work with them, both at Sing Sing and elsewhere. She raised the consciousness of the community with regard to the sufferings of prisoners, particularly those on death row. She wrote to many and even visited prisoners as far away as Texas. Despite her failing health she participated as much as she could in community activities. To the very end her generosity of soul was evident in the donation of her body to science. We welcome this morning Sister Marie’s family and friends and our Maryknoll brother Fr. Ernest Lukaschek who will preside at this Memorial Liturgy.